The first domino of the 2019 recruiting class has fallen as Mike White and his staff completed what was one of the longest, most contested, and confusing recruitments of all time finally nailing down point guard Tre Mann. A Gainesville native, you’d think the Gators would have always had the upper hand in keeping him home but sources close to the recruitment never really had the Gators leading the way. The 28th rated player in the country and a fringe 5-star talent, the 6’3”, 170 pound point guard is one that is all but certainly going to step in immediately and play a key role for the orange and blue. If Nembhard ends up staying past his freshman year, the Gators will be ensured to have 40 minutes of electric guard play and Mann’s ability to create off the catch means he should have no problem rolling as an off guard for some minutes. As a player, Mann is a silky scorer at all three levels. He can beat his man off the dribble and finish creatively around the hoop through contact, pull up in the midrange for a swish, or catch and shoot from three. 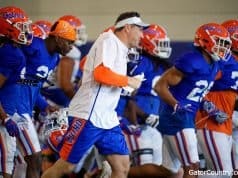 In terms of pure offensive skill, I find it easy to say that Mann is the most talented offensive player Coach White has been able to land at Florida. Defensively, he has good length for a point guard and seemed to look really comfortable within the schemes laid out by his AAU team when I was able to watch him play. 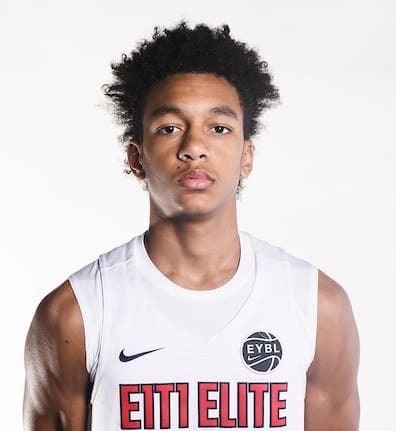 Mann’s recruitment really heated up this offseason after a tremendous performance at Peach Jam, getting teams like UNC into the mix in addition to his initial final three schools of Florida, Tennessee, and Kansas (he reopened his commitment follow Peach Jam). Landing one of the best point guards in the class, this could very well be the first of a handful of big moves in the Gators’ offseason. Mann is AAU teammates and close friends with CJ Walker, another major Gators target and local product. Walker on the wing is the perfect compliment to Mann on the ball and you can start hoping Mann starts helping in Walker’s recruitment. Paul Biancardi from ESPN seems to have gotten the most accurate quote from Mann when it came to his commitment to Florida. In regards to Coach White, Mann said “He recruited me real hard.” White has been in on Mann for over two years, and his tireless pursuit wasn’t easy as it often seemed like Mann staying home wasn’t in the cards. Coaches aren’t always rewarded for their years of dedication and hard work, but in this case Coach White was and I can’t give him enough credit for powering through a recruitment many people saw going in Tennessee or North Carolina’s direction. 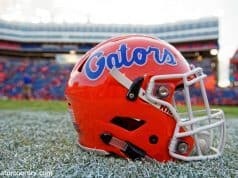 Locking down the state of Florida is a goal going forward for the Gators and this could very well be the first step. 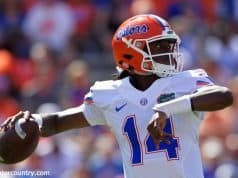 Watch for what’s next in a recruiting class that could be absolutely elite for the Gators.